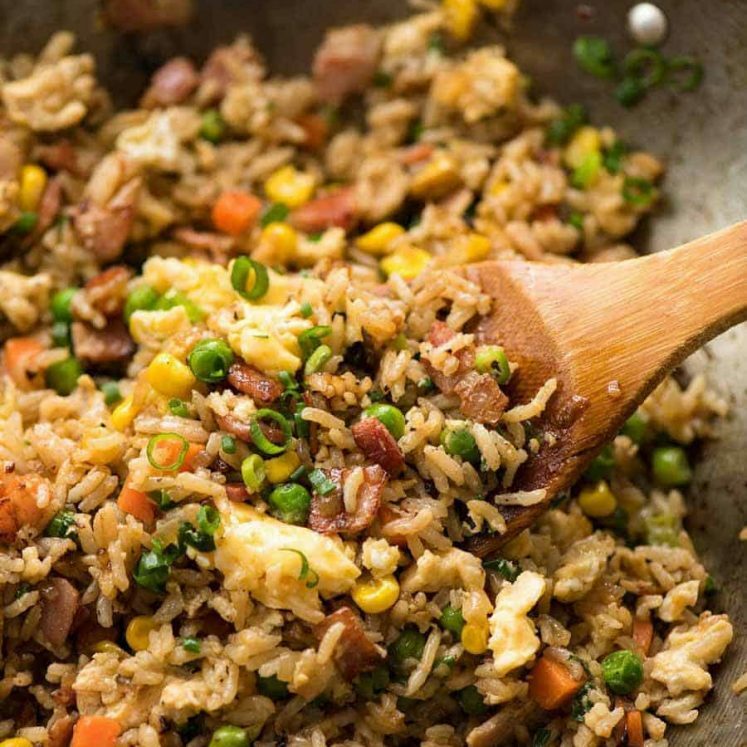 A great, classic Chop Suey recipe loaded with veggies! 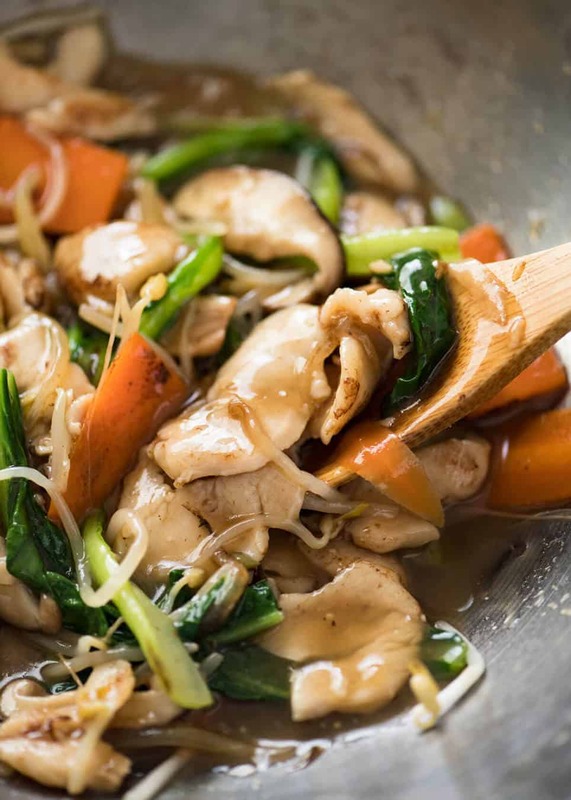 Learn the secret for how to make a sauce for this Chicken Stir Fry just like you get at the best Chinese restaurants. Plus, the secret for how to tenderise chicken the Chinese restaurant way! 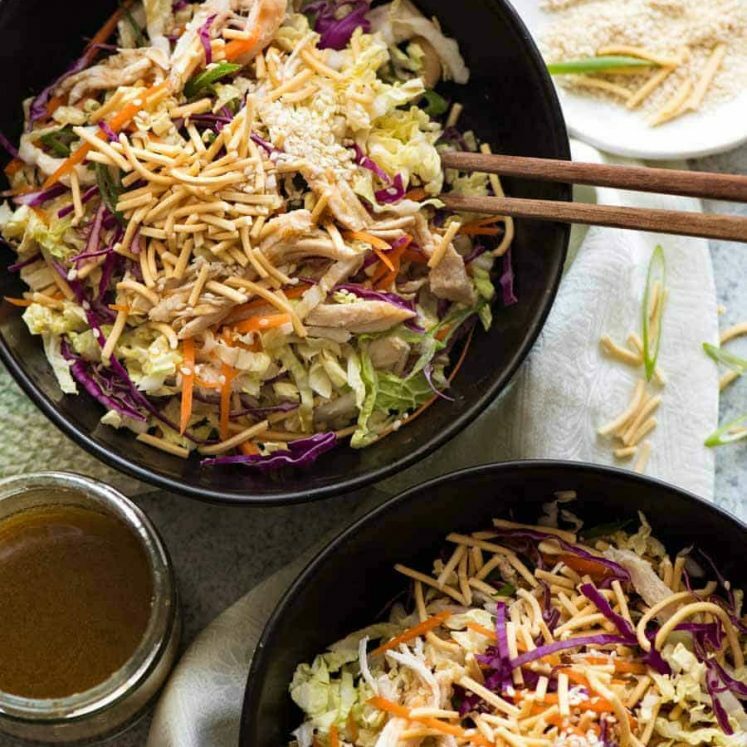 Chop Suey recipe originally published November 2017, posted refreshed October 2018. No change to recipe! Chope Suey – Chicken Stir Fry! 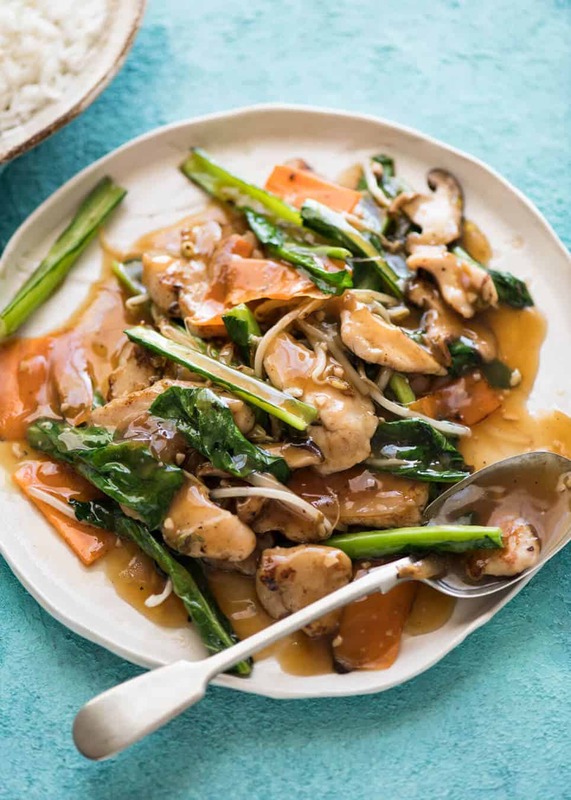 Today, I’m sharing a recipe for Chicken Chop Suey which is a type of Chicken Stir Fry. 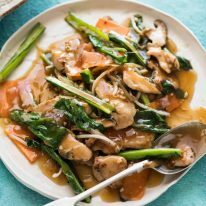 Chop Suey is just a slightly westernised version of a classic, basic Chinese stir fry. Because of this, there really aren’t hard and fast rules about what goes in it, but the general characteristic is that the sauce is a fairly light brown colour, there is plenty of it (and you know I love my sauce!!) and it’s pretty thick so it clings to your rice or noodles. Chop Suey Sauce – restaurant secret! A great Chop Suey comes down to the sauce. 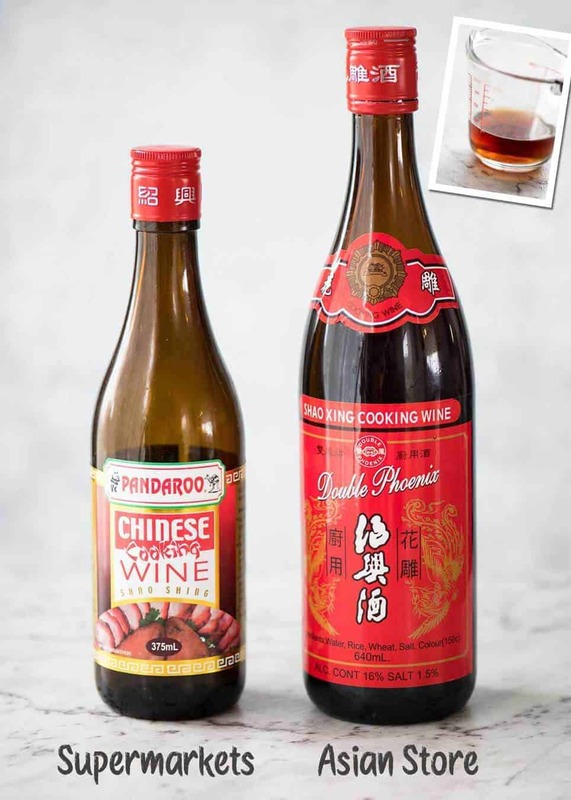 And if you’ve ever wondered why your stir fries aren’t quite as tasty as what you get from (good) Chinese restaurants, this is probably what’s been missing from your sauces – Chinese Cooking Wine, also known as Shaoxing Wine. 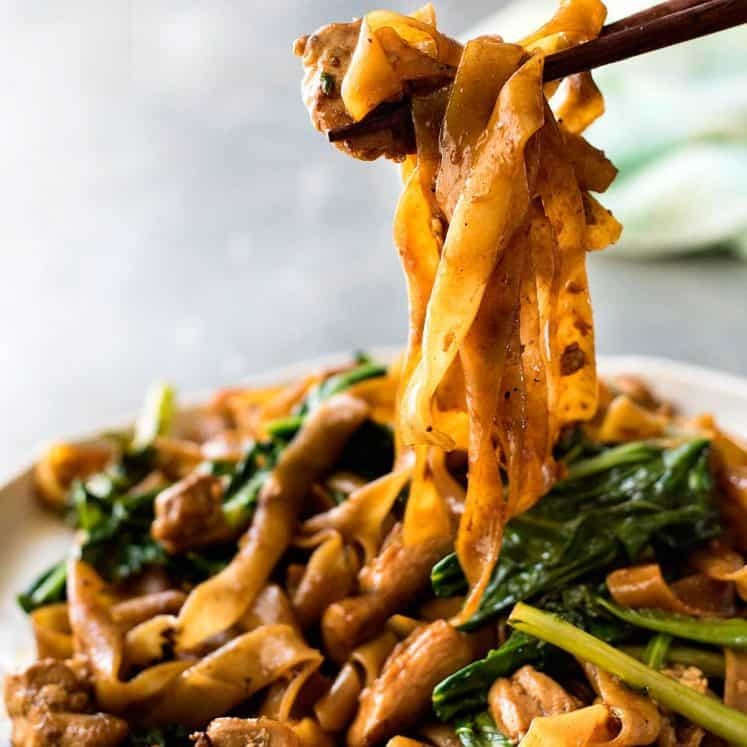 It’s the secret ingredient in almost every Chinese recipe, that’s used by the gallons in all Chinese restaurants around the world! 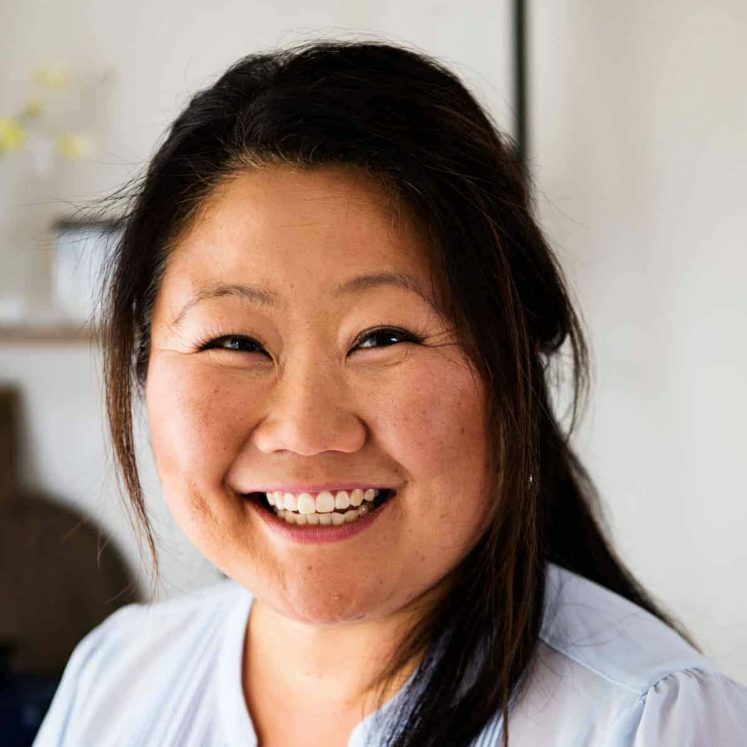 Read more about Chinese Cooking Wine here, including why it’s so important, the difference it makes in recipes and the best substitutes. 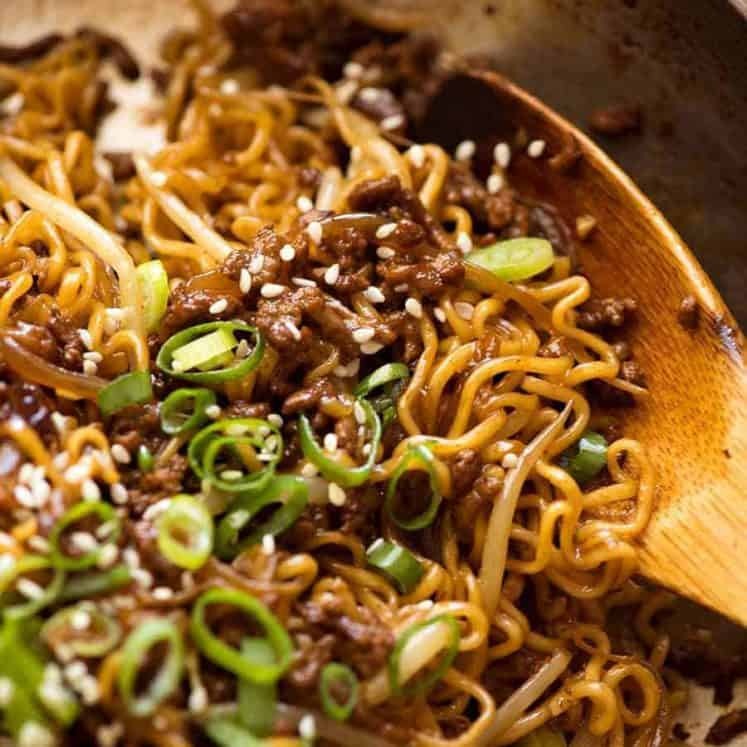 The best substitute for Chinese Cooking Wine for Chop Suey is dry sherry, followed by Mirin then Japanese cooking sake. 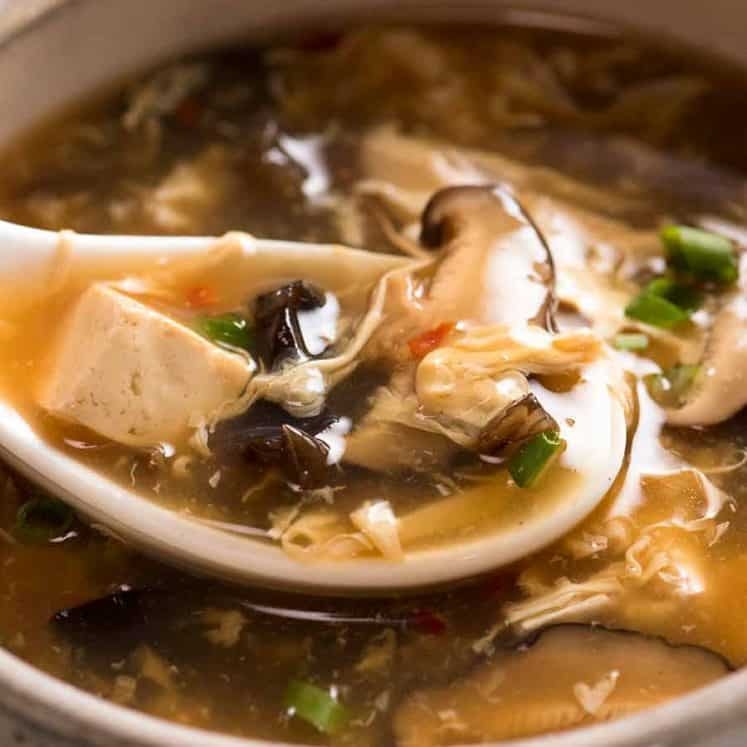 The best non alcoholic substitute for Chop Suey is to use chicken broth (liquid chicken stock) in place of water in the sauce. Have you noticed that the chicken in Chinese restaurants is incredibly soft and almost “velvety”? It’s because restaurants “velvet” the chicken (that’s the term that is used). There are a few ways to do this, but I like using a simple method using baking soda because I find it the easiest for home cooking. Read more about this – Velveting: Chinese Restaurant Way to Tenderise Chicken. It’s optional and not really necessary if you use chicken thighs which are a juicy cut. 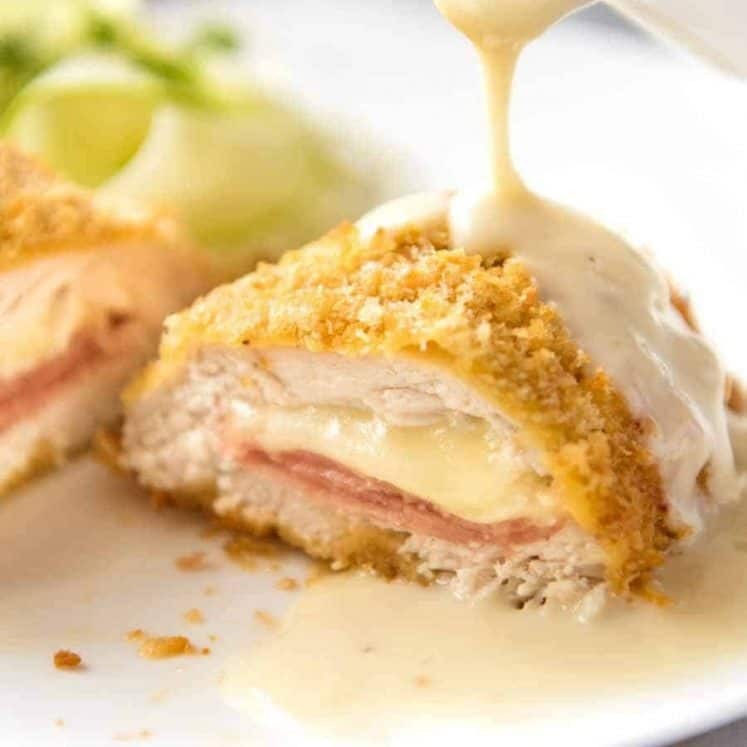 But if you are using chicken breast or tenderloins and you choose to tenderise it, you are going to be amazed how juicy and tender the chicken is. “It’s just like the stir fries at Golden Century Chinese Restaurant! !”, first timers exclaim. Or Golden Palace or Golden Pearl or Golden Wheel or Golden Unicorn or Golden Dragon. 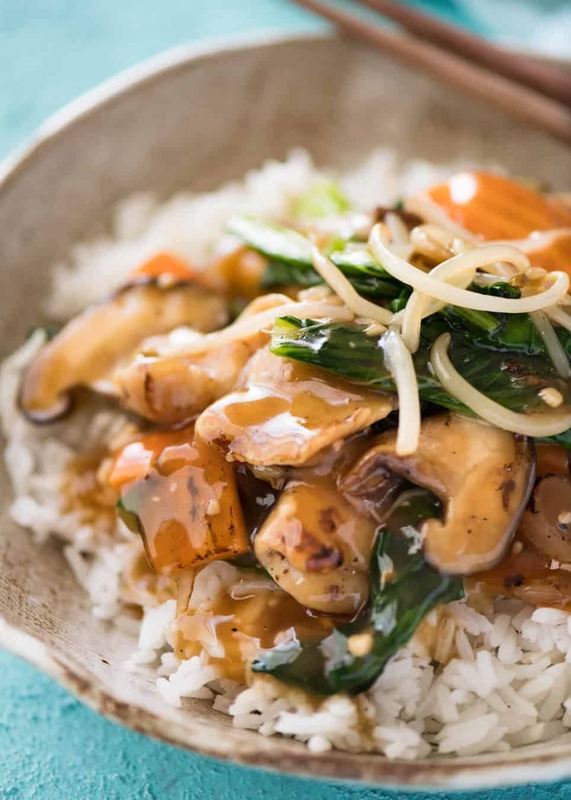 All Purpose Chinese Stir Fry Sauce << This will be your new secret weapon! Recipe video above. The essential ingredient for a great stir fry sauce is Chinese cooking wine. All Chinese restaurants use it. See notes for subs if you can't get your hands on it. Veggie loaded, light on the meat, this is healthy and adaptable to whatever you've got in your fridge! Place chicken in a bowl, sprinkle over baking soda. Use your fingers to mix then set aside for 20 minutes, no longer than 30 minutes (can get too tender). Rinse well, pat excess water with paper towels, set aside. Place cornflour and soy sauce in a bowl. Mix until lump free. Then add remaining Sauce ingredients and stir. Trim end off choy sum. Then cut into 7cm / 3" pieces. Separate stems from leaves. Peel carrot, cut into 3cm / 1.3" pieces. Then slice the pieces thinly (see video). Heat oil in a wok or skillet over high heat. Add garlic, stir quickly, then add onion, Cook for 1 minute, moving constantly, until onion is starting to wilt. Add chicken, cook for 1 minute until the surface changes from pink to white. 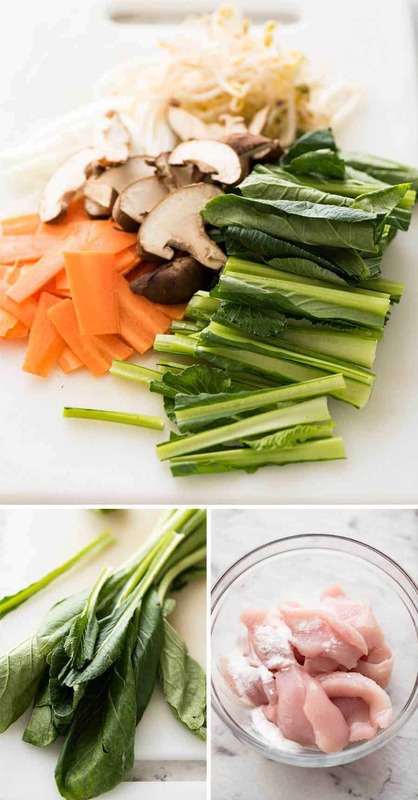 Add choy sum stems, carrot and mushrooms. Stir fry for 1 minute. Add choy sum leaves, bean sprouts and Sauce. Stir fry for 1 to 2 minutes until the Sauce thickens to a thick syrup consistency. Vegetables should still be tender/crisp, not soggy and soft. 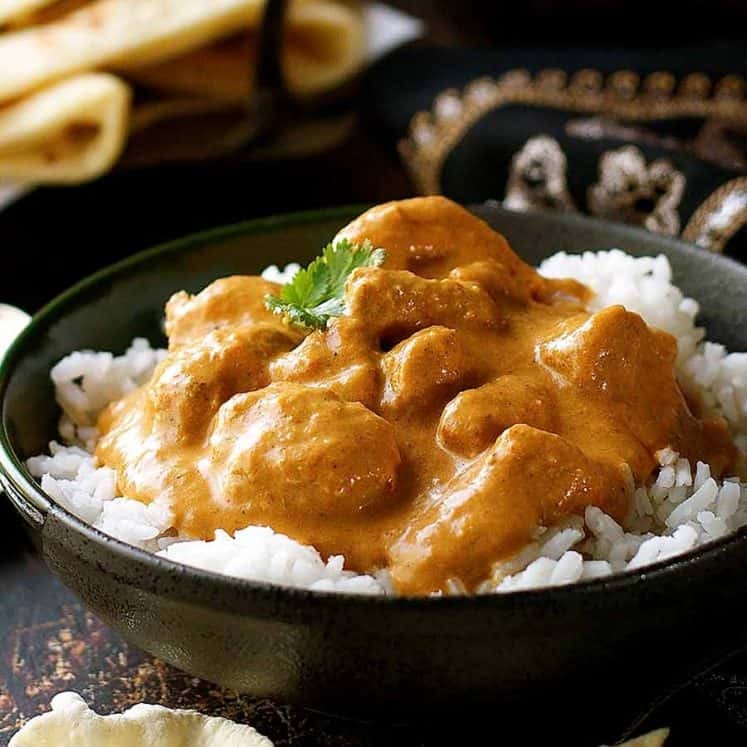 Remove from heat and serve immediately over rice or noodles. 1. Tenderised Chicken: Read more about Velveting Chicken the Chinese way for ultra tender chicken like you get in Chinese restaurant stir fries. 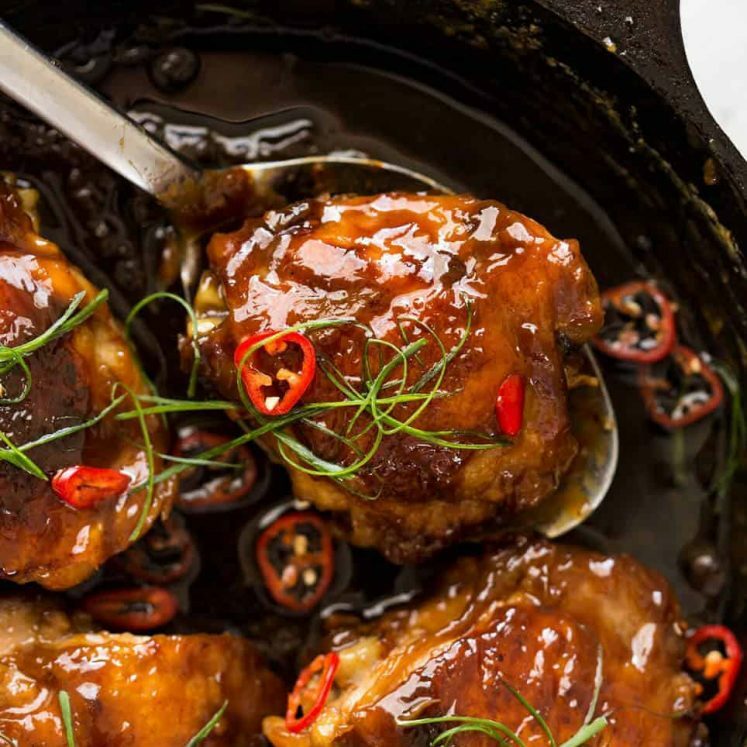 Skip the step if using chicken thigh - it's not needed, it's juicy enough. 2. 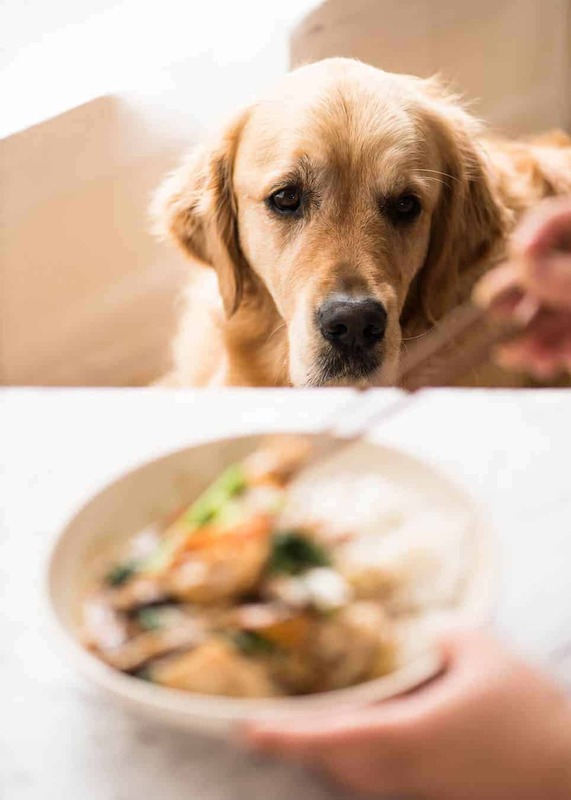 CHARLIE is my All Purpose Stir Fry Sauce. If you haven't met him yet and you love stir fries, you are going to be best friends very soon. Find the recipe for him here, along with how to use him. 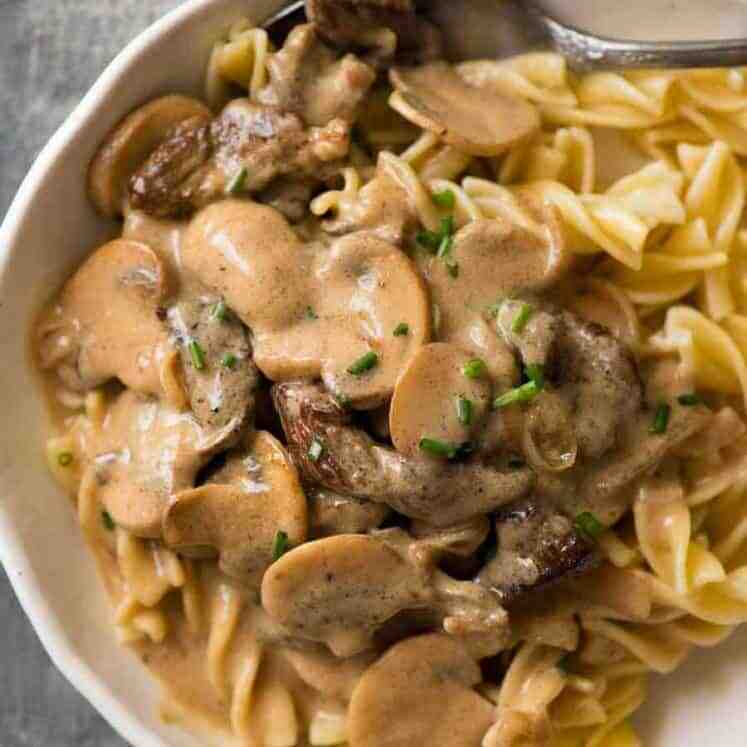 To use Charlie for this recipe, replace the Sauce with 4 tablespoons of Charlie + 3/4 tsp cornflour / cornstarch + 3/4 cup water. 3. LIGHT SOY SAUCE: This is what keeps the sauce colour clear-ish. 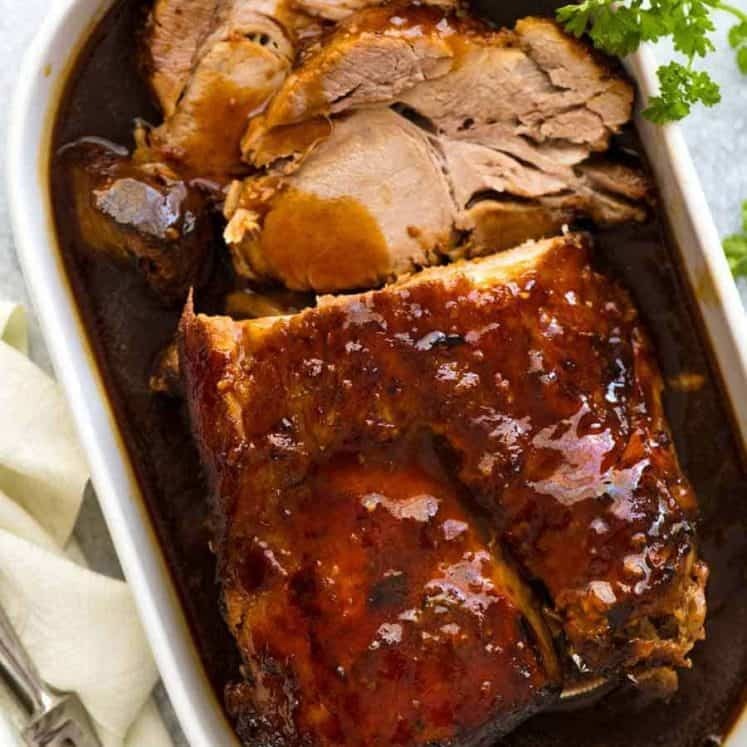 You can use ordinary all purpose soy sauce and it will pretty much look the same. If you use dark soy sauce, reduce to 1 tbsp - will still be tasty but the sauce will be super dark brown and a stronger soy flavour. 4. CHINESE COOKING WINE: An essential in Chinese cooking, used by every Chinese restaurant. Read more here. Substitutions: dry sherry is best, followed by Mirin then Japanese cooking Sake. Non alcoholic: Use chicken broth instead of water in the Sauce. 5. 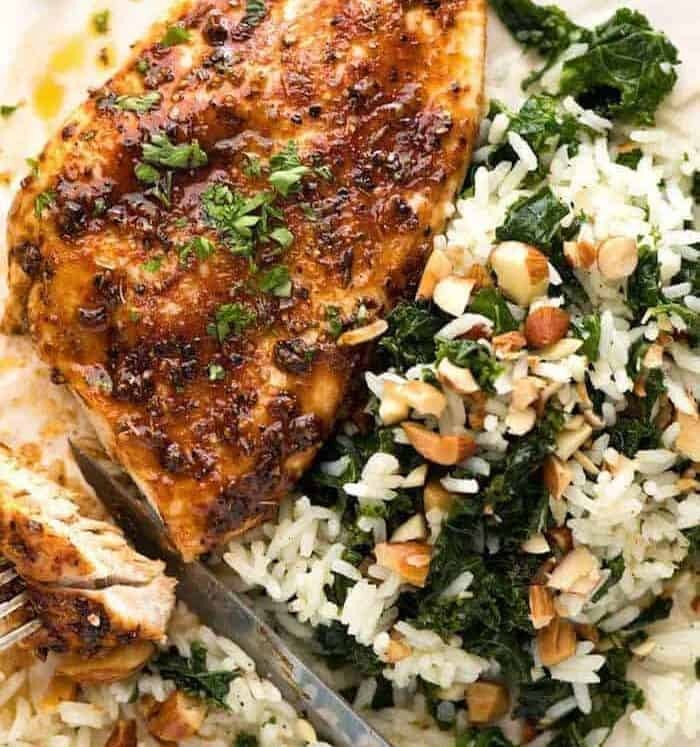 No need to marinate the chicken for this recipe because it's sliced thinly and there's plenty of sauce! 6. Nutrition per serving, assuming 2 servings. It's 2 very generous servings, with enough vegetables for a meal - you won't need a side for this. Excludes rice / noodles. Use low sodium soy sauce to reduce sodium. This big furry head was just out of frame in every photo in this post….. 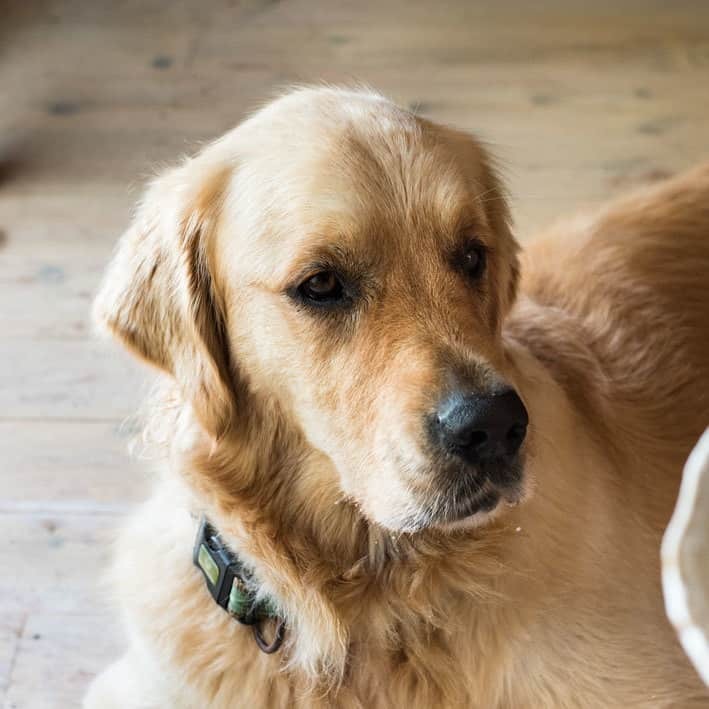 In yet another of your wonderful recipes for Real Chinese Stir Fry you state: ‘To use Charlie for this recipe, replace the Sauce with 4 tablespoons of Charlie + 3/4 tsp cornflour / cornstarch + 3/4 cup water.’ Charlie already has cornstarch in it. 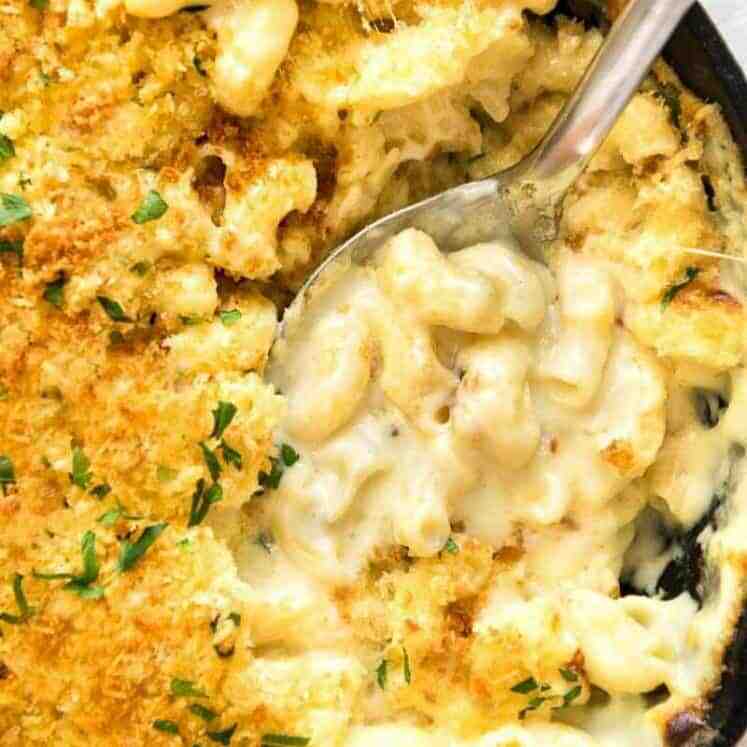 Do I really need to add more cornstarch? I am thrilled to have found your excellent recipes on your inviting, smiley and informative website. Adore Dozer too of course! Moreish chicken stir-fry indeed . . . hate it when I do not have time to velvet ! That said I personally do not like the terms ‘chop suey’ where the product is served on top of the starch and ‘chow mein’ where it is stirred through ! In my mind that almost makes it a Western recipe, an Americanised version even if ingredients and methodology are oft virtually identical . . . Have been known to bypass such on a restaurant menu wondering whether the dish is cooked to Western ‘tastes’ Am so looking forwards to Hoi An . . . one of my favourite Australian bloggers now there has been sending the most romantic and interesting photos on Instagram . . . methinks you and we shall love it . . . I need to look for some cooking wine. I read somewhere that you use corn starch to velvet the chicken, but I will definitely try the baking soda. Looks delicious!! Love your holiday photos, very interesting to read about there lives. Always good to know how there is Life and living regardless of environment , locations as they say : When there is will there is way. REALY an eye opener Re:education. THE BEST OF THE BEST IS THE PHOTO OF THE BATHROOM…..PRICELESS. AM LOOKING FORWARD NEXT POST. THANK YOU KINDLY. IS IT HOT AND HUMID OVER THERE? Be happy!! Nagi, I’m loving all these recipes. Made your spinach cannelloni again last night. Epic. I did a similar trip your on to Hanoi and then Halong Bay. Beautiful. Pity the water was so dirty tho. Are you heading to Sapa? Lovely area. Safe travels. 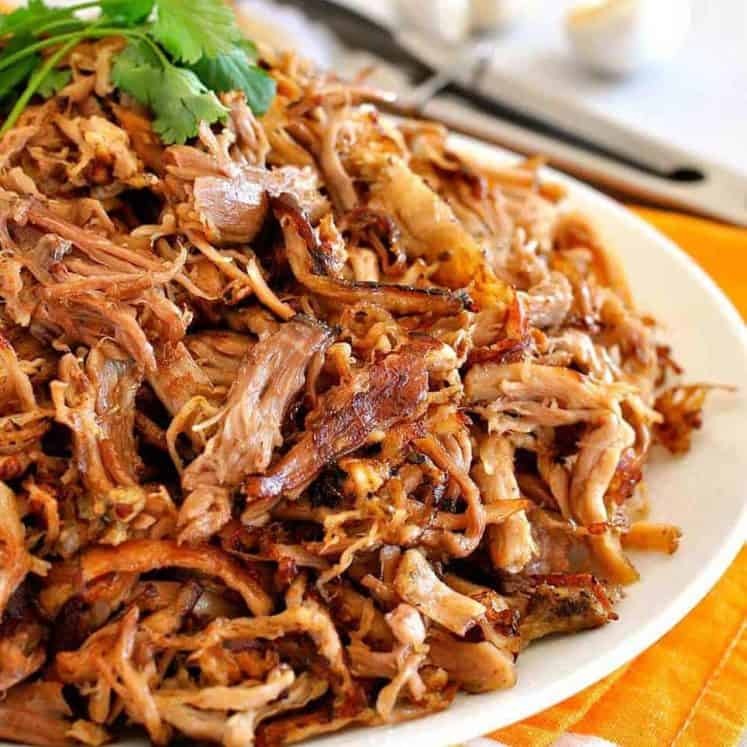 Btw I loved your slow cook pork in the honey sauce. Bok choy is readily available in US grocery stores. Would it be a good substitute for the choy sum? I want to ask about tenderising the meat with baking soda. Your recipes call for the meat to be washed a few times after marinating in BP for 30 minutes. However, I have seen other recipes where meat is mixed with baking soda and cornstarch without washing off the BP. Some have complained about after taste—- and I did experience this once but I may have put more BP than required in the recipe. The recipe calls for Baking Soda, not Baking Powder and it should be rinsed off. 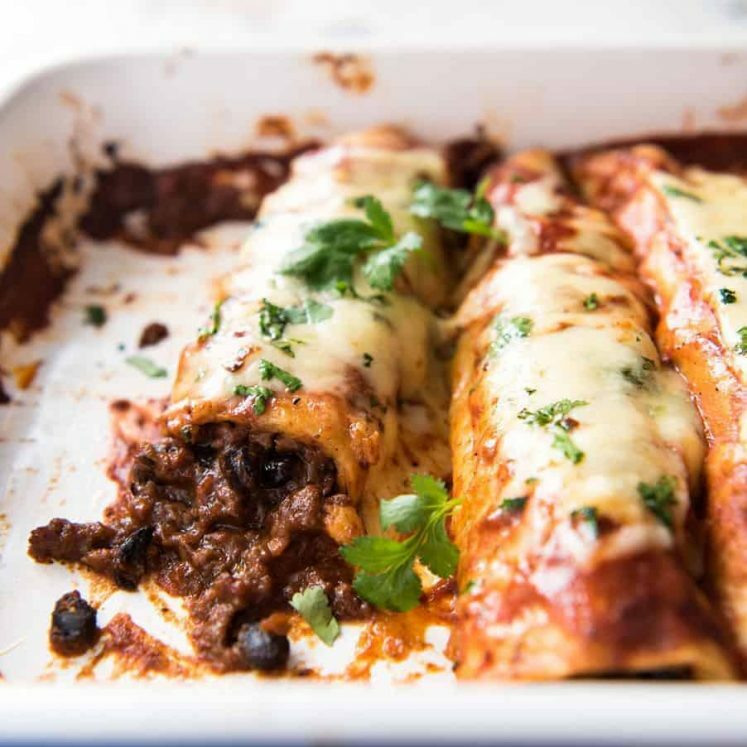 This was a simple yet delicious recipe my family devoured. “Velveting” the chicken made a huge impact on this delicate dish. We’ll be sure to prepare this again soon, thanks! Glad to hear you enjoyed this Peta!! Thanks for letting me know 🙂 N x ❤️ PS Pats to CHARLIE!!! I love all your recipes. But we are a family of 4. 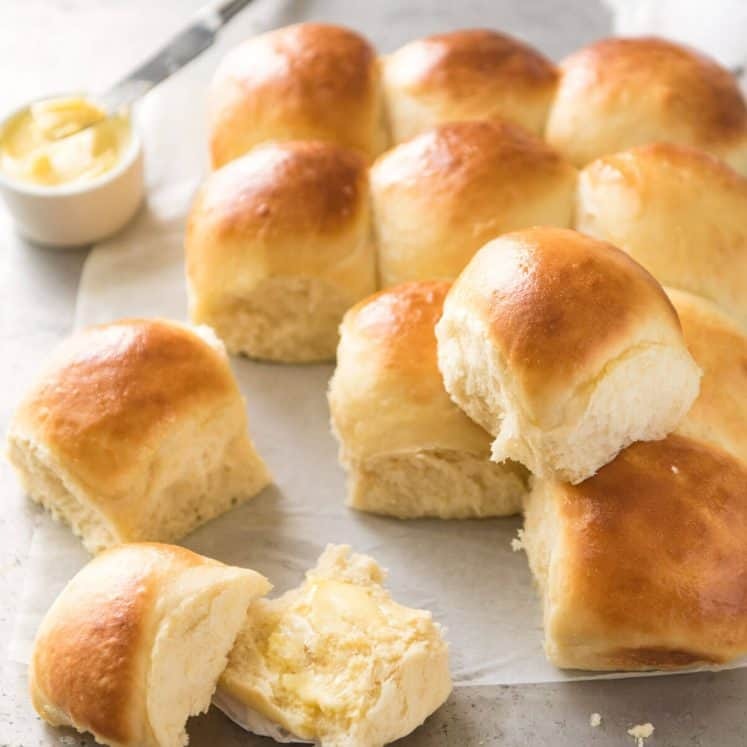 Many of your recipes only serve 2-3. Is there a reason why. This tastes just like the chop suey from the local takeaway where I grew up! Thanks so much – especially for the hint about the cooking wine. I always wondered why my stir fry etc. didn’t taste quite right. Will definitely be keeping this recipe for future use. Charlie for Prime Minister! Either Charlie or Dozer? Made this beauty again last night; it’s so good with cauli & broc, any veges you have in the fridge. Even though the 4 kids have flown the coup, I still cook a heap so we have leftovers for lunch. Amazing trick about the bi-carb to tenderize the protein, works an absolute treat. Thanks again Nagi and take care. 😂 You crack me up Barb!!! So glad you enjoyed this one Barb! I was initially thinking Dozer for President (having the same color hair as trump). Dozer is more personable and lovable. Thank you so much for this recipe! If I can’t find any choy sum, how much cabbage should I substitute? Hi Amy! I would probably use a couple of cups 🙂 Cut them into thick julienne – or bite size pieces! The baking soda made my chicken taste so sour that I couldn’t eat it. 🙁 Is there a reason why mine did this? All the other comments here say the taste was wonderful. 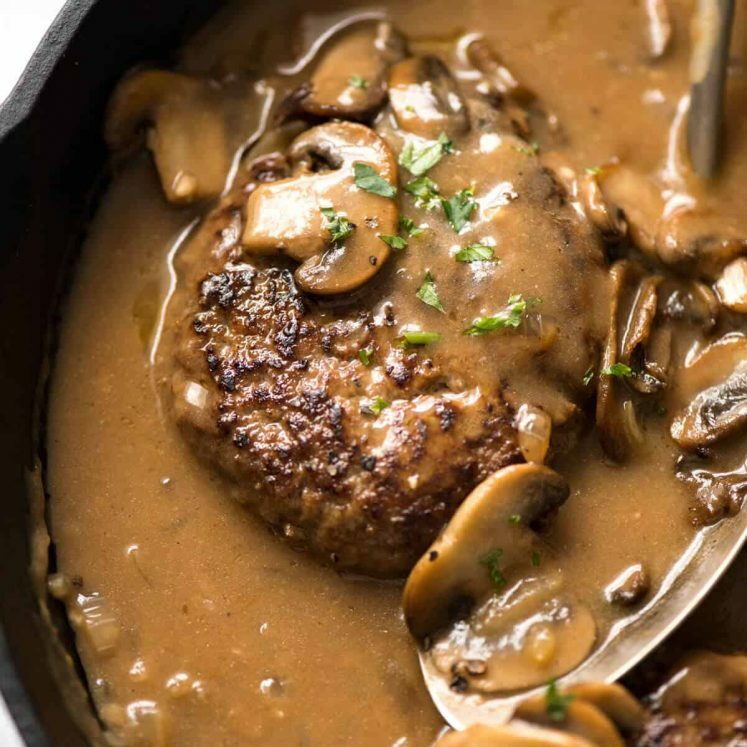 Going to make this tonight with shrimp (no chicken in house). Excited to try and hopefully impress my mother-in-law! Hiii I’m going to try this out this weekend, i just wanted to check is rice vinegar the same thing as rice wine?